A man was cited in Orange Village after allegedly leaving his two dogs in a car for six hours in the heat. On Sunday at around 1:15 a.m., an Orange Village police officer saw a vehicle parked in a parking lot with two dogs inside. The dogs were panting and their tongues were hanging out of their mouths, officers said. Dispatch attempted to contact the owner of the dogs by phone and at the residence of the registered owner of the car. Both attempts turned up with no results, according to police. Police units canvassed the area to try and find the vehicle owner, Michael Herpst. Officers said they quickly found him in the area of Park Avenue and 4th Street. 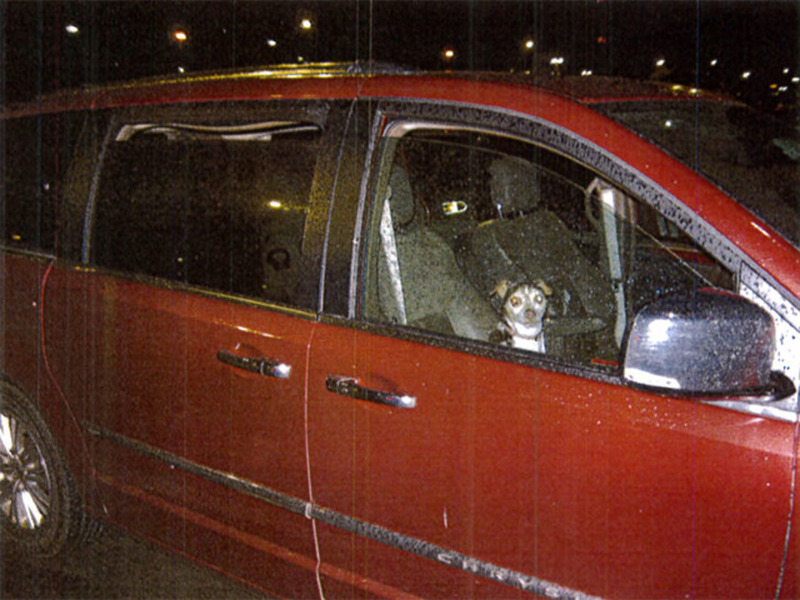 He was transported by officers to his vehicle to open the door and let the dogs out. Police said the dogs jumped out and immediately began licking rainwater off the ground. Herpst was noticeably intoxicated and smelled of alcohol, according to officers. One of the officers asked Herpst if he had any water for the dogs, but he said he did not. When officers opened the back door of the car, they said they found a case of water sitting on the floor. 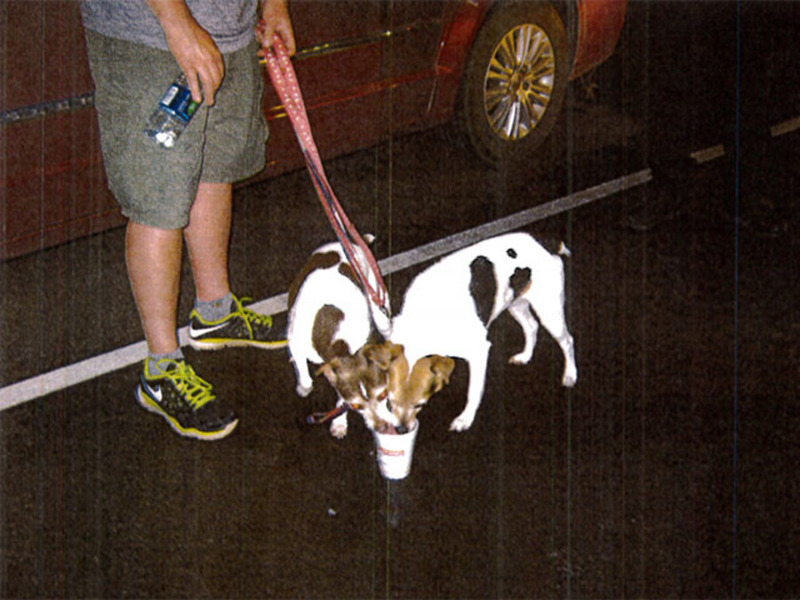 They gave him a cup and told him to give the dogs some of the water, according to the police report. When officers asked Herpst why he had the dogs with him that night, he said he was going to take them to the vet for kennel cough. When asked if he was planning on taking them that night since it was 1:30 a.m., Herpst told them he was still planning on taking them, police said. Officers also asked Herpst why he thought it was acceptable to leave the dogs in the car. He said since it was under 80 degrees, it was safe to leave them with the car windows cracked, according to the police report. Officers said they told Herpst it was 81 degrees and unsafe for the dogs' health to leave them in the car in the heat. After questioning Herpst, officers found out he had left the dogs in the car for about six hours. At first, Herpst told officers he checked on the dogs during that time, but then later admitted he never actually did, the police report said. Officers said Herpst disagreed with them and thought that leaving the dogs in the car was not a problem. He said they barely drank any water at all when it was given to them. Herpst was issued a summons for companion animal cruelty which made him upset, and officers said he showed no remorse for his actions. Herpst called his 17-year-old son for a ride home. His son picked him and the dogs up, and police said they gave him the keys to his father's van. Police filled the son in on the situation. Officers said the son was thankful they called him to come to get his dad and the dogs. Herpst is scheduled to appear in Bedford Court at 9 a.m. on Friday.